Home » General » In Honour Of Trees…. I grew up surrounded by trees. A huge variety of them. Like those nostalgic songs that evoke different stages of my life, trees transport me to those carefree days when we spent every spare moment outdoors. I remember the undiluted pleasure of reading favourite books ensconced in the leafy, low hung branches of a cashew tree. Of dawdling beneath the night jasmine, before hopping into the car early mornings, to inhale the heady scent of the red stemmed blooms carpeting the ground beneath. Of raiding the gooseberry tree with siblings and visiting cousins (and being sick afterwards). Of helping hindering the harvesting of mangoes, coconuts and arecanuts. And most of all, of just lazing under the shade of the giant tamarind, dreaming of elsewhere. A living sculpture in Mahabalipuram! Later, nearly two decades spent on tea and coffee plantations, introduced me to more exotic trees. Gardening became a passion. Identifying trees and birds a matter of pride. Then came the move to the big city. A yearning to create an identity, to get myself a ‘real’ job, ensured a disconnect from nature. And not just because of the limited green space around. I got too busy to even remember to look up. Air conditioned rooms insidiously displaced the cool shade of trees. When a dear friend sent me details of the Neralu Photo Project last month, I was shocked by the dearth of tree images in my albums. Apart from the baobabs from Africa that were rather hard to ignore, and my mango tree that I do once I step away from my kitchen window, most were accidental clicks used to frame urban elements. I had forgotten to ‘look’ at trees. Neralu, meaning shade in Kannada, is an inspiring crowd funded citizen initiative in Bangalore, that aims to reconnect urban citizens with their natural environments. The annual tree festival celebrates the beauty and diversity of trees in the garden city and raises awareness of the need for conservation and balanced urban growth. Here’s a link for readers from Bangalore who might be interested in the scheduled walks or the many planned events across town. The rest…..remember to hug a tree this weekend. what a wonderful festival & congrats on having your images chosen 🙂 I also love trees though recently my posts are clouds, sunsets, flwoers & cat, nonetheless there are trees amongst my photos. Always. Keira, you are the undisputed queen of trees and sunsets!!! 🙂 Look forward to more of your stunning tree galleries. If it wasn’t so hot today (40 degrees) I would’ve gone down to Hyde Park. But Matilda Bay on Tuesday – there will be trees, hopefully ravens…. And thank you 🙂 But your photos are gorgeous! A lovely reflective piece of writing. I’m inspired every time I read one of your posts, by your writing and your thinking. And congratulations on having two images chosen for the art gallery. A tree festival is a wonderful idea. They’ve just chopped down a number of vast old trees in my neighbourhood at home in the name of street beautification!!! And more in the name of fire protection. A tree anti-festival. Lovely photographs! That tree in Mahabalipuram caught my eye too! Read this unknown quote “A society grows great when old men plant trees whose shade they know they shall never sit in” . Neralu seems to be a wonderful initiative, one that more cities should take up. That is such a beautiful and relevant quote! And yes, I would love to see this concept spread to more cities. Happy to ‘meet’ you Archana. Do you live in Chennai? I’m a tree lover too – I am lucky enough to still live in a rural environment where I spend at least some of every day admiring one tree or another. You sure are lucky. We really need to make the effort to out and be with nature more. What a lovely childhood being surrounded by trees. Congratulations on having your images chosen for the festival. Wonderful!!! We’re all tree lovers aren’t we? Being around them helps me to feel grounded and connected with nature. A lovely post Madhu. Interesting you included the South Park Street Cemetery in Kolkata – the trees there incidentally are amazing and really add to the atmosphere! That is one of my favourite images and I was glad it was selected. Agree with you, it is the filtered light through the foliage that makes the cemetery so atmospheric. Congrats on having your photos exhibited! I spent a lot of time up trees as a child and live next to the woods now. Love our gnarled friends! Thank you Suzanne. You are fortunate to be able to live close to the woods. As you lovely said, trees and Nature have the power to bring our memory back in time… It’s so special to write about trees, to photograph or todrawn them. They are giving us much more than shade, fruits, warmth or constructions wood… they keep us alive! Your reminiscing about trees makes me think of the many trees I’ve enjoyed in my life – climbing, eating fruit from (apple, cherry, peaches), and just enjoying the cool shade from. Lovely post, Madhu. Thank you Judy. Glad this post stirred fond memories. Oh, I adore your description of growing up among so many wonderful trees, Madhu. The whole post made me ache and smile—both. Thank you. Could we even survive as humans without trees? The many functions they serve for us: generating oxygen, shade, fruit, nuts, medicine (bark, oil, leaves), beverages (think maple syrup), buildings, bridges, firewood…..but I prefer them as quiet companions in the landscape. I do too 🙂 Sadly Bangalore has lost much of its tress along with its laid back colonial ambience. Thank you Lynne. I agree and am impressed by the efforts put in by these young nature lovers to build awareness. I was unaware of this festival and would have remained ignorant if my friend hadn’t sent me the link. That initial photo is brilliantly staged. I love your work! It is pretty cool. I was trying to find a picture on Google, but alas. Huge congratulations, you deserve it your pictures are always fabulous. Congratulations. I’ve had a fascination with trees too-don’t know where that came from, but I love drawing them. Thank you very much. Would love to see your drawings. Have you uploaded any? Pleasure to see you here. Belated New Year wishes to you and your family. Indeed a lovely and very nostalgic post, we all have had our tryst with nature and tree in particular, we all have childhood memories of playing around trees and those with hyperactive energy and audacious were jumping like money from one to the other…as we grow ironically we distance ourselves from nature rather than nurturing the nature. Trees are no doubt are the epicenter of nature’s bounty…we are at awe at trees diversity and beauty. Congrats Madhu for your selection of your photo, wonderful one. Thank you Nihar. I doubt my grandchildren will have such wonderful tree memories to cherish. Yes, you are right our children and grand children, we don’t know much they will be able involve and cherish the moments around the trees…trees are there and the co-existence is amazing. Congratulations, Madhu! So happy for you! Lovely picture – my link with the city is the decade of the 80s when my parents lived there. And now on my infrequent visits, i miss the green cover!! But, then thats true of most of our cities…. Yes, most of our cities have lost much of their green cover, but I think the transformation in Bangalore is by far the worst. Perhaps because it was the most beautiful to begin with. Happy to ‘meet’ you Sita. Are you a blogger? I couldn’t locate a link on your Gravatar. This might sound odd, but I like the photo of the cemetery with pigeons best. Madhu I noticed you never use galleries. 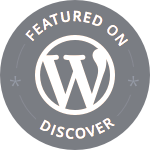 Is it because your theme does not support it, or you just prefer slideshow? Certainly sounds odd knowing your relationship with pigeons Paula! 🙂 I do prefer the compact format of a slideshow, although it probably does not display my photos well. Hug one now for me! 🙂 Is it any warmer yet? Well done Madhu on being a part of this great exhibition and campaign, what’s not to love about a decent tree, wherever it is! Sounds like a great initiative, Madhu. It’s so sad that we can get so caught up chasing progress, that when you have a moment to slow down and look back, you wonder if what has been achieved is the opposite of progress. When I lived in Bangalore, there was no need to even turn on fans – the weather was so lovely throughout the year… but these days ACS are a must. 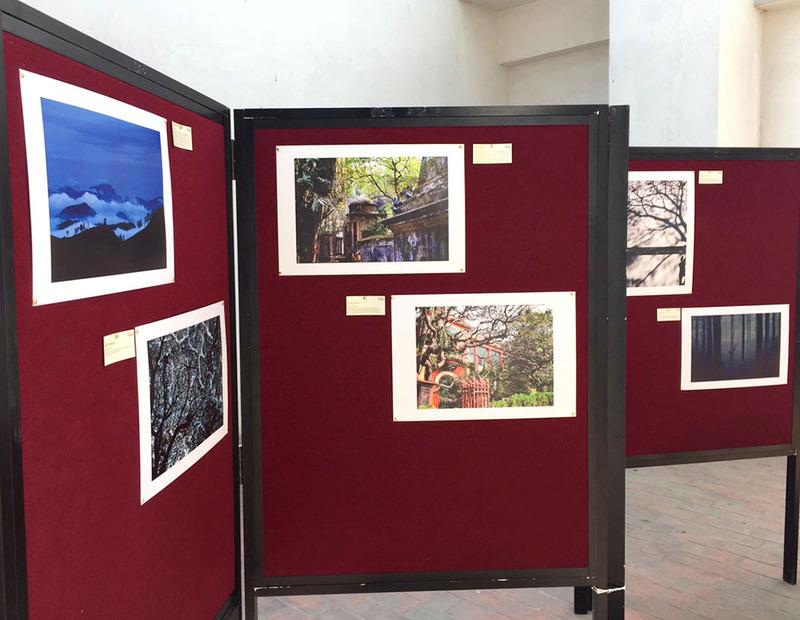 Gorgeous photos… and congratulations on your photos being picked for display! Thank you Kan. We used to be togged up in sweaters and monkey caps when we visited Bangalore as kids!! One barely needs warm clothes there anymore. Wow! Congratulations on the selection of your photographs, Madhu! And thank you for sharing stories of your growing up–love the image of you raiding gooseberries with your siblings and cousins! This one moved me a lot..